In art, few will ever know the extent to which their art touches the world and the impact their talent will have. Yet, one family has experienced this not just one time but three! GENERATIONS SHUPTRINE features the works of renown artist Hubert Shuptrine, acclaimed water color artist Alan Shuptrine and introduces sculpture artist Ben Shuptrine. 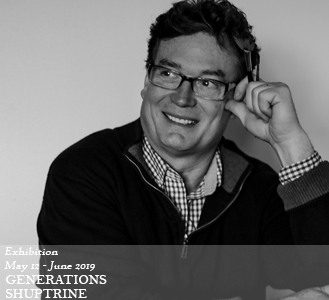 Showcasing three generations of creative work, GENERATIONS SHUPTRINE celebrates each artist’s deep connection with his environment telling a story of his passion from within. Hubert Shuptrine was an accomplished American artist. He exhibited a love for the subjects he painted – an approach to art he named “realizations” – and his subjectivism communicated to viewers far beyond his native South. Born in 1936 in Chattanooga, Tennessee, Hubert Shuptrine was graduated from the University of Tennessee at Chattanooga in 1959 with a bachelor’s degree in Fine Arts. 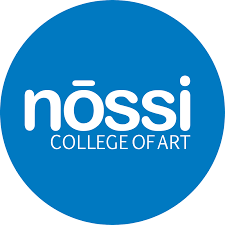 He earned early recognition for his works by winning numerous regional and national competitive exhibitions. Eight years later, in 1967, after service as a lieutenant in the U.S. Army Quartermaster Corps and several other occupations, he became a full-time painter. At the same time, his approach to art was in transition from abstract expressionism to interpretive realism. His medium also changed from oil and acrylic to gouache, and then later watercolor, what many regard as the most demanding. The early watercolors of Shuptrine’s were published in 1974 in the book Jericho: The South Beheld, (Oxmoor House, 1974). The text was by noted poet/novelist James Dickey. Widely hailed by both print and broadcast media, Jericho: The South Beheld set records in art book publishing with sales exceeding an unprecedented 1,000,000 copies in the First Edition, followed by a Second Edition. Various publishing industry acclamations followed, including the prestigious Carey-Thomas Award and a nomination for a Pulitzer Prize. In the fall of 1987, Oxmoor House published a sequel collection of Shuptrine’s watercolors entitled Home to Jericho. Following the success of the first Jericho book and the national acceptance of his watercolors, Hubert Shuptrine became a popular national spokesman for art, a keynote speaker in forums of business and industry, colleges and universities, and private clubs. His nationally recognized watercolors are in over 30 leading museums and institutions; among them the Butler Institute of American Art in Youngstown, Ohio. Hubert Shuptrine has won hundreds of national art awards and has been a distinguished member of The Bohemian Club since 1984. 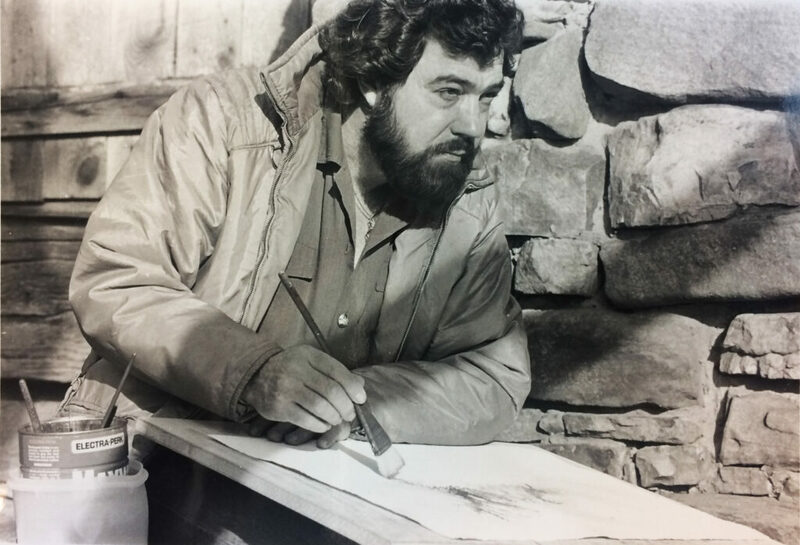 A painter known for his Southern and Appalachian Mountains genre, Alan Shuptrine has extended his reputation from a renowned framemaker and water gilder to a nationally acclaimed watercolorist. Born the son of recognized painter, Hubert Shuptrine (1936-2006), Alan has continued the legacy of realism that both Andrew Wyeth and his father Hubert established. 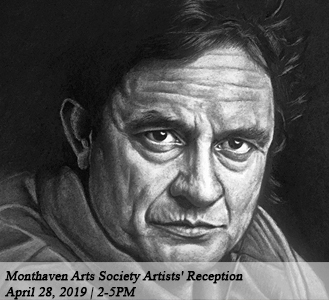 A resident of Lookout Mountain, Tennessee, Shuptrine’s pursuit of the arts includes schooling at The Baylor School (Chattanooga, TN); The University of the South (Sewanee, TN); and The University of Tennessee (Knoxville, TN). His style is Realism with highly detailed and dramatic lighting in his landscapes and figurative paintings. Shuptrine’s medium is primarily watercolor which he applies and controls in various techniques, from wet-inwet to drybrush. He prefers to handcraft, carve, and gold leaf his own frames for his paintings. 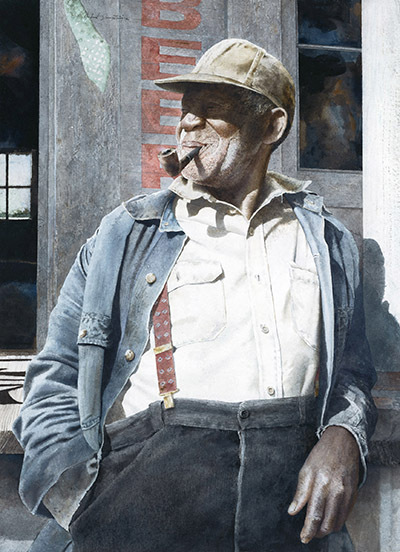 Recognized by publications such as American Artist Magazine and Watercolor Artist Magazine, Shuptrine garnered additional recognition when he was asked to participate in the exhibit, “In the Tradition of Wyeth: Contemporary Watercolor Masters” at The Vero Beach Museum of Art in 2010. The exhibition opened with Alan’s paintings displayed alongside the works by Andrew Wyeth and his father. 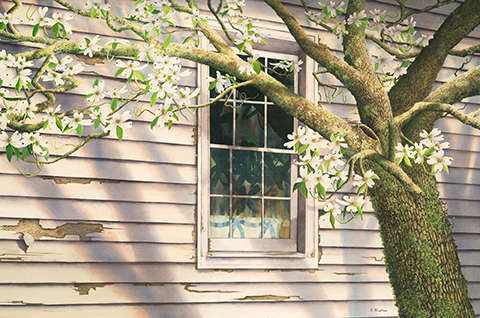 Following the Vero Beach exhibition, the Huntsville Museum of Art and The Tennessee State Museum selected Shuptrine’s watercolors for their permanent collections. 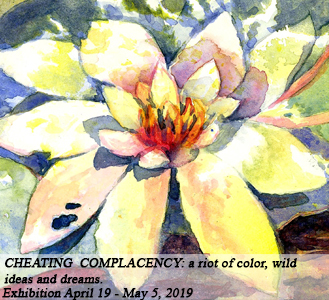 After participating in numerous juried exhibitions and receiving awards from national and international watercolor societies, Shuptrine launched his first solo museum exhibition in May, 2017. The exhibition opened at the Tennessee State Museum in Nashville and celebrates the Celtic roots of the Appalachian Mountains. Serving as a monument to the descendants of early English, Irish, Scottish, and Welsh who settled the Eastern Seaboard, this art collection and soon-to-be coffee table book and documentary film, will collectively preserve mountain heritage and traditions for future generations. 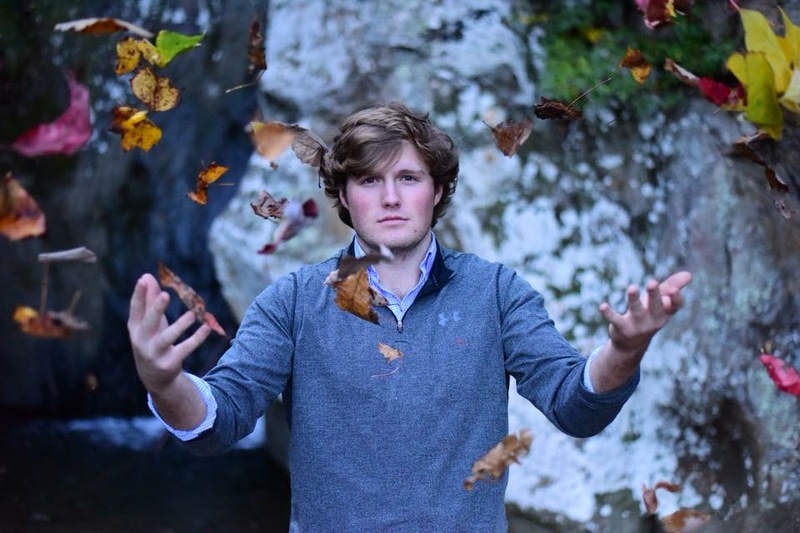 Born the son of nationally recognized water color artist, Alan Shuptrine, and the grandson of nationally renowned artist, Hubert Shuptrine, Ben Shuptrine is emerging as a very talented artist in a number of mediums. Ben is currently enrolled at the University of Tennessee in Knoxville, where he is pursuing a degree in digital design. Ben has a love of sculpture, especially working with metals. 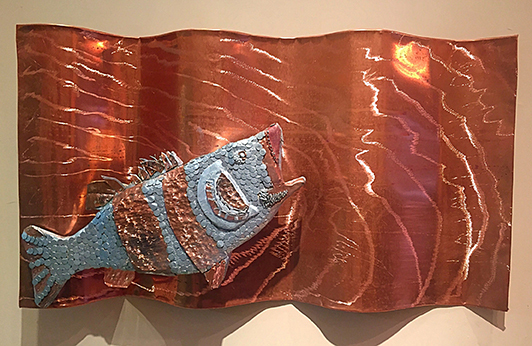 His copper sculptures have already sold to several private collectors and corporations, and he has started a gallery in social media called Three Brooks Copper Sculptures. Having been raised by a sportsman, Ben has a natural passion for the outdoors. Seeing his father work as a gilder with 22 karat gold leaf has fascinated him with the properties of metals. Now the founder of Three Brooks, Ben’s copper birds and fish are earning him a reputation for originality and craftsmanship in the tri-state area. He puts his love of the outdoors into each of his creations, which are one-of-a-kind, and intricately detailed. 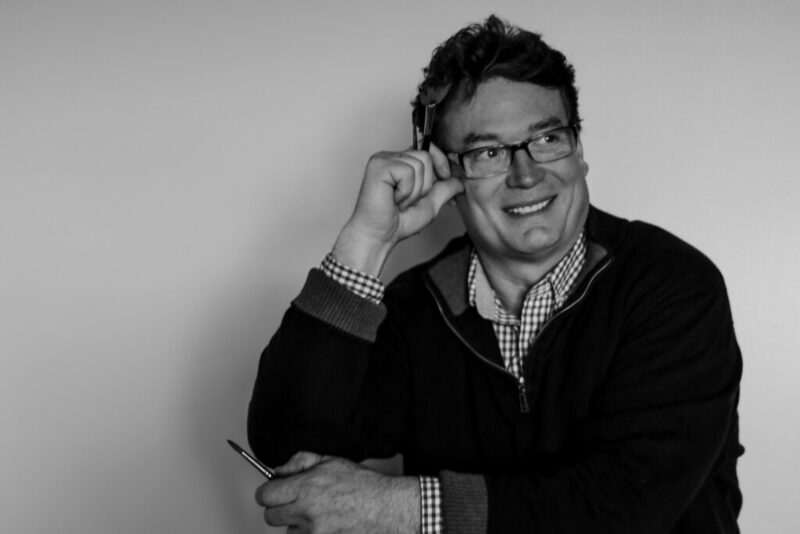 Ben has apprenticed with other artists such as nationally recognized sculptor, John Petrey. John has helped Ben focus on structure, space, texture, and expression. This experience has taught Ben to develop his sculptures with enhanced patinations through fire and other techniques. He plans to follow in my father’s and grandfather’s footsteps; but the young Shuptrine wants to pave a new road of art for himself. Join us and enjoy an intimate conversation with artists Alan and Ben Shuptrine facilitated by the Macc’s Executive Director, Cheryl Strichik. Hear the artists’ stories, inspiration and the artistic magic of the Serpentine Trail.